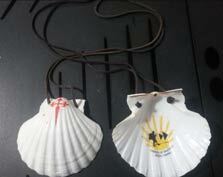 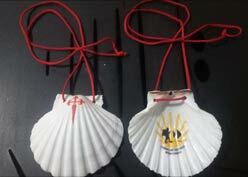 Souvenirs from the "Camino de Santiago de Compostela". 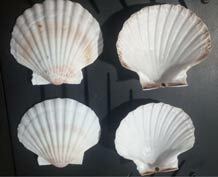 The pilgrim's shell (Pectem Maximus L) has evolved throughout the history of the "camino" into a symbol of the pilgrimage to Santiago de Compostela. 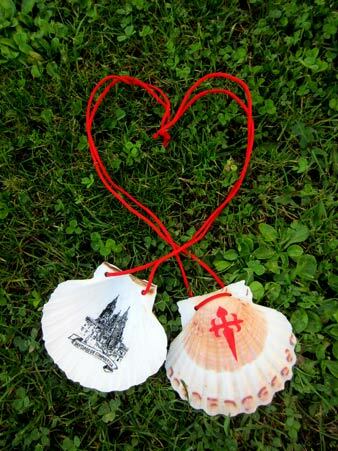 Small Pilgrim's Shell identifying symbol of the pilgrimage to Santiago de Compostela of the "Camino Xacobeo". Brimmed hat for adult indispensable in medieval times as a protector against the sun and rain. 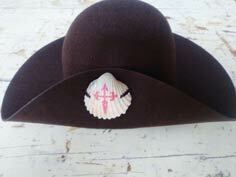 Includes scallop shell to hold the brim of his hat. 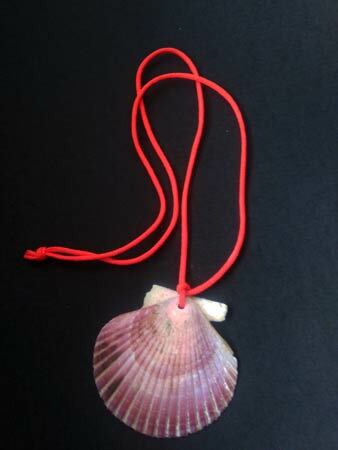 Key ring made with natural shell. 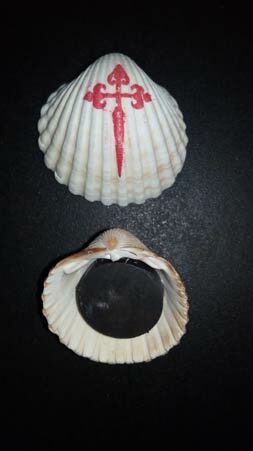 Magnet made with natural scallop shell. 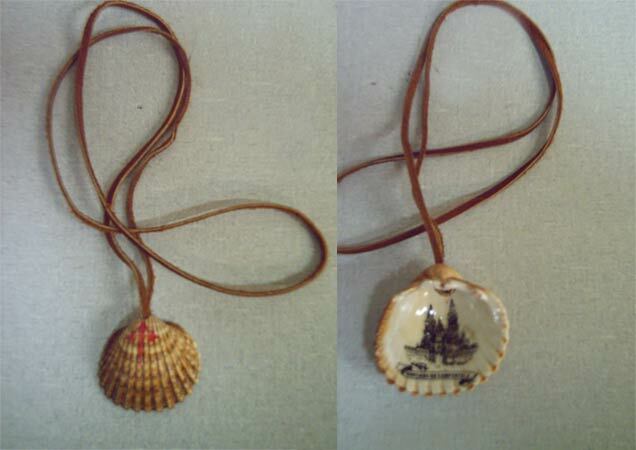 Small shell of pilgrim with leather cord. 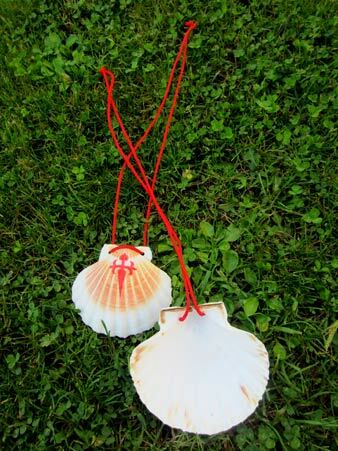 Small shell of pilgrim with red cord, cross and pilgrim. 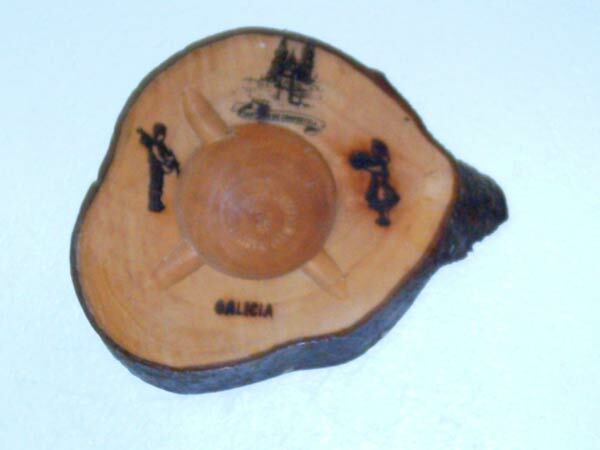 Ashtray Ameneiro trunk carved with pictures of the Cathedral of Santiago de Compostela.